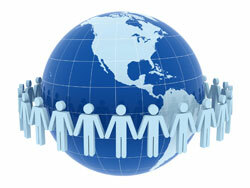 Information on this page is provided to assist EDS chapters in their membership recruitment and development efforts. The EDS MFSP helps to facilitate the launching of new chapters in developing nations. EDS covers society dues for up to 15 new/existing members or student members, per qualifying EDS chapter. Learn more about the EDS MFSP. → Special Membership Promotions at Approved EDS MQs or DLs - request information on discount membership promotions for approved EDS MQ/DL events. → Consider holding a Senior Member Nomination Event, using the new step-by-step guide. → IEEE Collabratec - a free online community for technology professionals around the world, to network, collaborate and create. → Global Benefits Finder - for a list of key IEEE member benefits relevant to your career phase and country. → New Member Start Page - to set up your personal web portal, expand your membership or register for orientation. → Promotional Collateral - links to IEEE Brand Experience. Find downloadable print templates for flyers, banners, etc. → IEEE Membership Development Kit - online order form You will need to sign in with your IEEE account. → IEEE Membership Development Portal - training; communication templates; IEEE vTools, reports and data; program and online resources; and IEEE brand identity guidelines. → IEEE Center for Leadership Excellence - Training for IEEE Volunteers and Professional Development, with an entire category of training courses devoted to Membership. 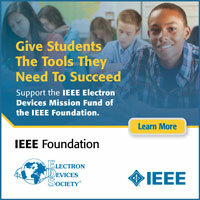 → IEEE Student Activities - portal to student benefits, resources, awards and opportunities.